Is Cambridge Care Company registered with the appropriate governing bodies and professional associations? Yes, we are registered with and reviewed by the Care Quality Commission (CQC) which covers all of our team members and branches across England. If your condition changes while you’re under our care, your carer will take note and adjust you care plan accordingly, following discussions with you and your family. If your condition changes between your initial assessment and the start of our care plan, we will simply arrange to come and see you again to conduct a further assessment. 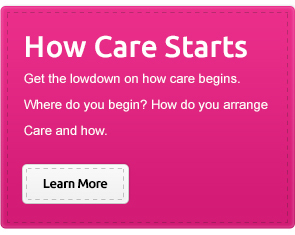 From here we can adjust your care plan so it fits with your needs. We can also inform any other medical professionals involved with your care. Invoices are sent on the last day of each month. All accounts should be settled within 28 days by either cheque or electronic bank transfer (BACS). Are there any hidden extras in the prices that you quote? No. Our quoted costs are based on the assessment and subsequent tailor-made care plan – and that is the charge that will appear on your invoices. If your care plan includes a large amount of travel, whether this is to and from hospital appointments, taking shopping or trips out into the community, any additional travel expenses such as mileage charges will be declared in the quote. Where are your carers from? 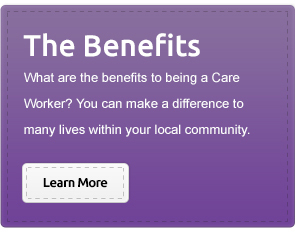 We employ the best possible staff for the job and as a result we have carers from all over the world. The majority of our staff live locally, in Suffolk and have grown up in the area. How do you ensure that your workforce is competent and compliant? All our employees comply with the Care Quality Commission (CQC) standards which ensures that we only supply our clients with the highest quality of carers at all times. What qualifications and experience do your employees have? All of our care and support staff must have the necessary qualifications and experience for the required for the care service that they will provide. In some cases new recruits already hold relevant vocational qualifications such as NVQ 2, NVQ 3 or equivalent, if they have not, we strongly encourage them to do so. Additional specialist training is also provided dependent on our clients’ needs. How do make sure that high standards of care are provided? It is fundamental that the standard of care we provide is consistently high and to ensure this is the case, all our employees are regularly monitored and appraised. We also ask our clients to provide regular performance reviews so we can be certain of your satisfaction. Each of our employees follows a tailored training plan and has annual health screening checks to ensure that they are physically fit to work. Will I always receive care from the same carer? Ideally you will always receive care from the same two or three carers – so you can be looked after by familiar carers if you principal carer is unwell or on holiday. Each carer will be introduced to the client and be kept fully briefed on all duties required. What advice would give someone looking for suitable care? We respect the privacy of our clients and recognise that any information about them is strictly confidential. In some cases we may be asked to share information that is relevant to providing quality support, for example to visiting medical specialists or care professionals. The client or, where appropriate, their principal carer will be consulted before information is released. For more information you can download the Service User’s Handbook here. All our clients and staff have the right to practise their beliefs, religion or culture without constraint by restrictive or discriminatory practice. We welcome all of your feedback or suggestions and we’ll actively ask you for your feedback on the care we provide at least once a year. However, you should feel free to contact us at any stage with any concerns and/or feedback that will help us to improve the standard of care we provide. Should we receive a complaint we will ensure this is formally recorded in a written format, even if the issue has been resolved immediately. How do you avoid inappropriate behaviour? Cambridge Care Company is committed to preventing inappropriate behaviour and if a client, carer, friend or relative has any concerns in this area, they should discuss this immediately with a senior staff member, or use the formal complaints procedure.